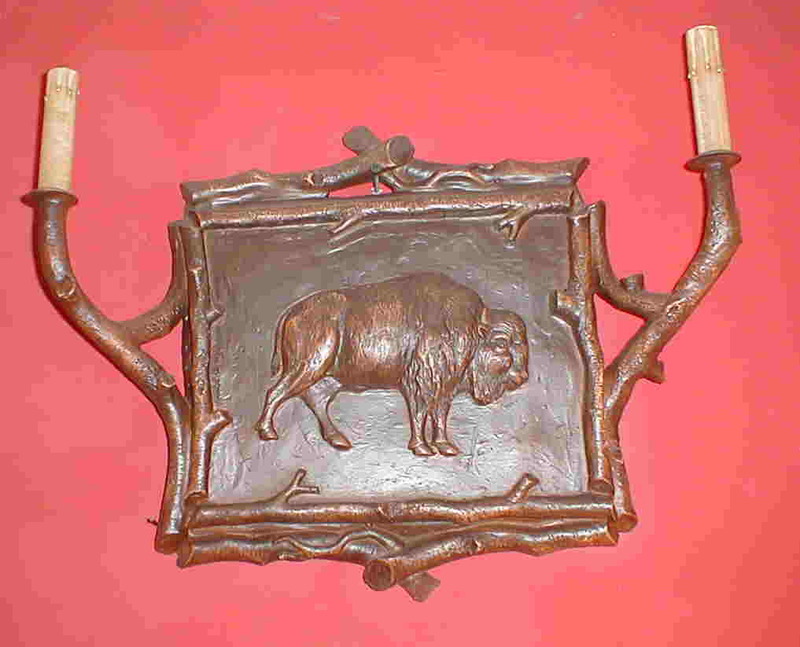 Description: Buffalo sconce candleholder Also available with electric candles for $325.00, or with one light in center or either side. Right facing only. (Panel size 15"h x 14"w). Resin &steel. Shades extra.